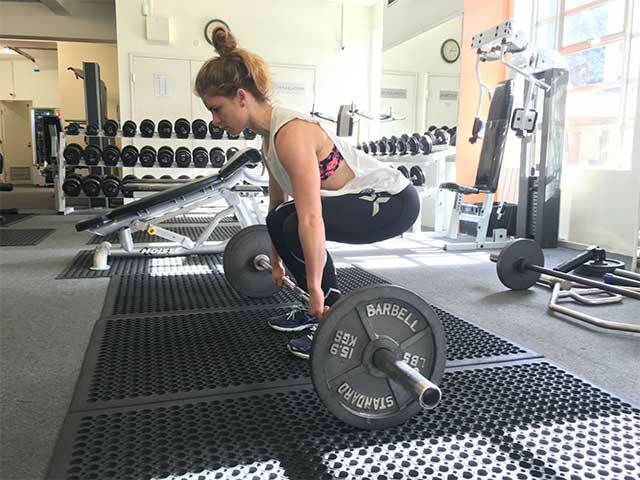 People come to the gym for lots of different reasons; to increase our cardiovascular fitness, our flexibility and range of motion, for rehabilitation, sports training, and specific strength training. A lot of us just want to be stronger, have more muscle definition, and look good as well (I’m looking at you!). And with summer just around the corner, who doesn’t? What if I told you that there is a proven method of training that is great for hypertrophy (increasing muscle size) and involves you using heavier weights and using less energy? Let me introduce you to Eccentric Training. Muscle contractions involve shortening and lengthening while the muscle is still producing force. The phase of contraction that occurs when the muscle shortens is concentric, whereas the phase of contraction that occurs as the muscle lengthens is eccentric. Eccentric training is the act of performing exercises which focus on controlling through the eccentric or lengthening phase of the muscle. The eccentric phase of the lift uses less energy, therefore you can do more reps leading to better results in less time. Heavy negatives and forced reps (lifting more than your maximum load with the help of a spotter) produces an anabolic response. Eccentric training leads to greater concentric power. As you can see, eccentric focus training has many great features and benefits for your body. Heavy negative lifting should only be done periodically, but control through the eccentric part of any lift is important to maintain good form through motion and prevent injury. If you are interested in any more information (or if you need a spotter for some heavy negs!) be sure to get in touch with us!